Paris can be a very expensive city, but there are things to do that are absolutely free and very enjoyable. Here are some examples from Parisians in the know. 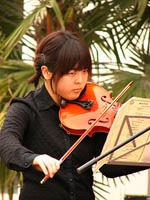 One of the most prestigious music conservatories in Europe, its students stage free concerts throughout the year. Housed in two mansions in the trendy Marais district, this gorgeous museum chronicles the history of Paris from its founding to modern day. Admission to the permanent collection is always free. 23, rue de Sévigné, 3e. The oldest square in Paris, you can lounge on the grass, listen to the street musicians, browse the art galleries and even visit the home of Victor Hugo where he wrote many of his works, including Les Misérables. Admission is always free. 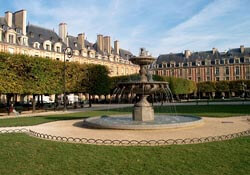 6, place des Vosges, 4e. To many, Paris is synonymous with fashion and the quintessential Paris departmen store, Galleries Lafayette has a free fashion show every Friday at 3:00pm on the 7th floor. Reservations are a must, email welcome@galerieslafayette.com. Radio France presents free classical concerts on Sunday afternoons at the Petit Palais auditorium. Tickets are distributed 30 minutes before concerts. 116 av. du Président Wilson, 16e. Last updated by Mike on 08 August, 2008 in Travel.